About - Cooperative Producers, Inc.
South Central Nebraska’s Cooperative Producers, Inc. is a farmer-owned cooperative headquartered in Hastings, Nebraska. Although we came into existence in 1978 as a merchandising arm of six area coops, the CPI of today was formed in 2007 with the final merger of those coops. We currently operate locations in 32 communities, serviced by more than 400 employees. 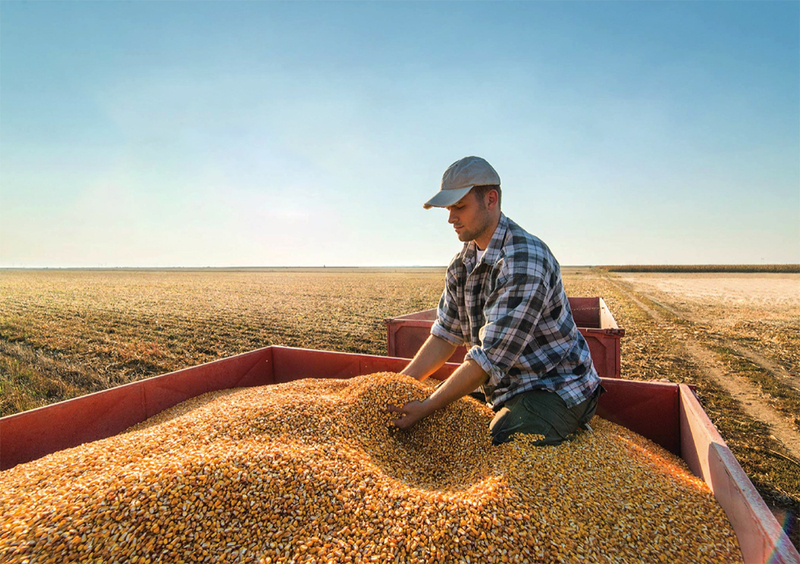 We offer a wide range of products and services in our agronomy, energy, feed and grain divisions. At CPI, we wake up everyday with a singular focus in mind – to serve our customers well. We do that by providing the products, solutions and services they need to be successful. Success can be defined in many ways, but for us it’s knowing that the decisions we make every day live up to our six core values. Each of these plays a very important role in the way we do business, and it all builds off integrity. We constantly aspire to be the best we can be, and we work hard everyday to get there by ensuring that our producers, customers and employees are taken care of. At the end of the day, we know that if we take care of them, they’ll take care of us. To be the best solutions provider growing partnerships to achieve employee and customer success. To serve our customers by providing products, solutions, and services that enhance mutual success. We are accountable to the highest ethical standards in all our relationships, commitments, and actions. We build trust through honesty and consistency in all the work we do. We value our employees and are committed to their professional development, engagement, and success. We recruit and retain the best people to continually deliver value. We are committed to a proactive safety culture which provides a safe work environment to protect our employees and the well-being of their families. We will reinforce a safety-first mindset every day. We are dedicated to delivering value to our customers by growing partnerships through agriculture for mutual long-term success. We deliver value by bringing cutting edge solutions to meet the future needs of our customers. We are committed to achieving long-term financial success to meet the needs of our customers. We embrace a winning culture by living our core values every day. CPI is dedicated to adding value to and sharing success with our patrons and local communities by contributing to their programs and organizations. 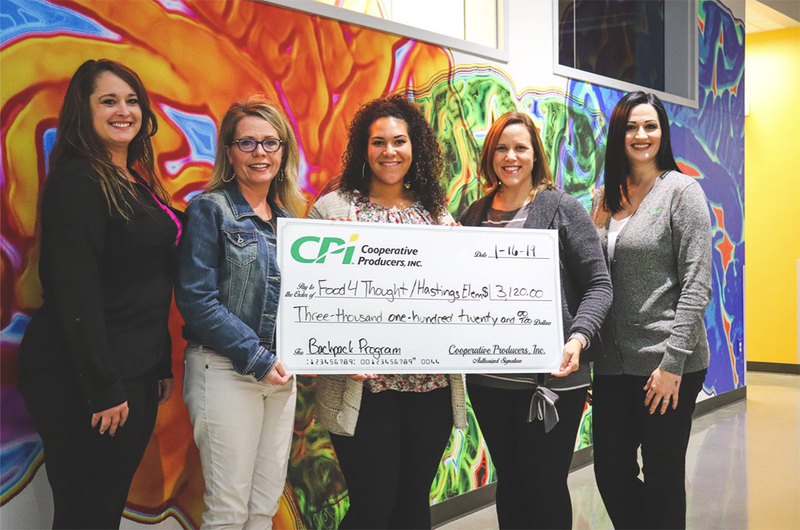 Composed of CPI employees, the CPI Community Involvement Committee looks to support the communities we serve by providing volunteers to assist with programs or events. If you have a program or upcoming event that you think we should know about, please contact Brittany Parr at the Hastings Corporate Office or email bparr@cpicoop.com. Per board policy, reasonable contributions can be made to charities and other non-profit organizations. If you have a program or upcoming event that might benefit from donations like door prizes, silent auction items or financial contributions, please fill out the donation request form below. CPI is partnering with CoBank and the Land O’Lakes Foundation to provide our local communities with funds to support local organizations. The CoBank Sharing Success Matching Grant Program and the Land O’Lakes Foundation Member Co-op Match Program match the cash donations of member cooperatives to local nonprofits, schools, and cities, thus doubling the funds available for hometown organizations/projects. Every year we provide financial assistance to students of CPI patrons and employees by awarding scholarships for post-secondary education. The CPI Board of Directors determines how many scholarships will be offered and this decision is typically made in the fall. Patron and employee student scholarship application PDFs will be posted here as soon as they are available. If no application links appear below, we kindly request that you please keep checking this page in the fall until they’ve been posted. Our office will not have any additional information.